The Environmental Protection Agency (EPA) will be disbursing $100 million to Flint, Michigan, after Congress voted to allocate aid money to the beleaguered city last year. The funds will go towards removing lead pipes and making other improvements. The EPA announced Friday that funds allocated for the city of Flint by the Water Infrastructure Improvements for the Nation Act will soon be distributed to the city. The act was passed by Congress in 2016 and signed into law by former President Barack Obama. 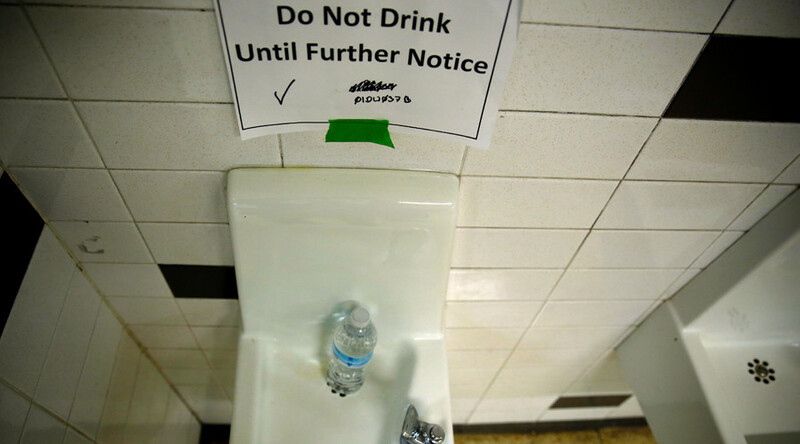 Flint has not had clean drinking water since April 24, 2014. The city’s water was contaminated with lead from the pipes used to transport the water and created a lead poisoning crisis in the city. While filtered water was deemed drinkable by the EPA in December 2016, the root of the problem persisted and the pipes were not replaced. Of the $100 million, $31.5 million will be immediately available to Flint exclusively to replace and upgrade 6,000 pipes. An additional $20 million will be provided by the state of Michigan, Reuters reported. The remaining $68.5 million will be made available after the city and state complete additional public comment and technical reviews. “The city of Flint being awarded a grant of this magnitude in such a critical time of need will be a huge benefit,” Flint Mayor Karen Weaver said in a statement. “Today we have good news for families in Flint who have already waited far too long for their water system to be fixed,” Senators Debbie Stabenow (D-Michigan), Gary Peters (D-Michigan) and Congressman Dan Kildee (D-Michigan 5th District) said in a statement.